Oil painting on canvas marbled on cardboard. White horse and hunting dogs. Dim: 23,5cm / 17,5cm. 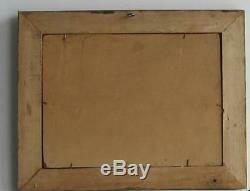 Old gilded wood frame (width: 4cm). 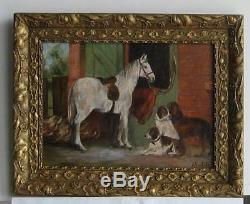 The item "old gilt wood frame painting oil on canvas white horse and dogs" is on sale since Saturday, March 23, 2019.